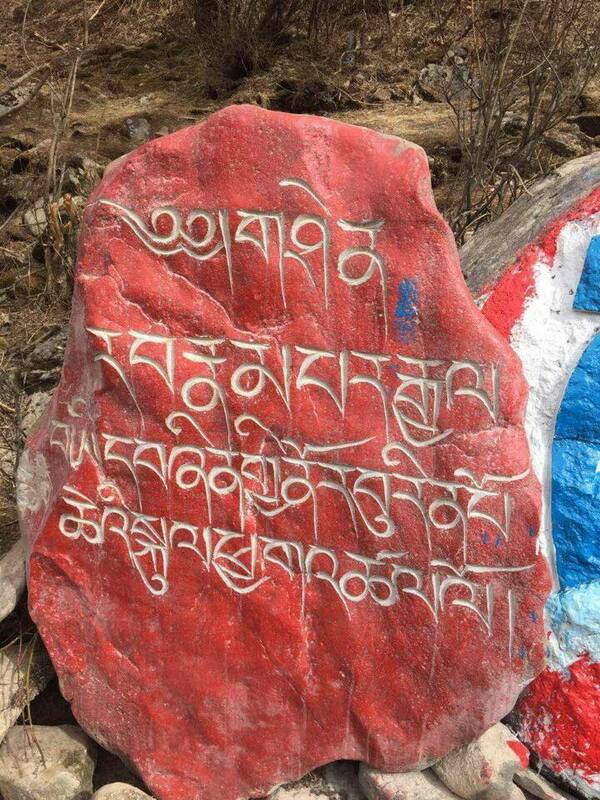 The MA TRI mantra at Tokden Monastery. Photo credit: Unknown. 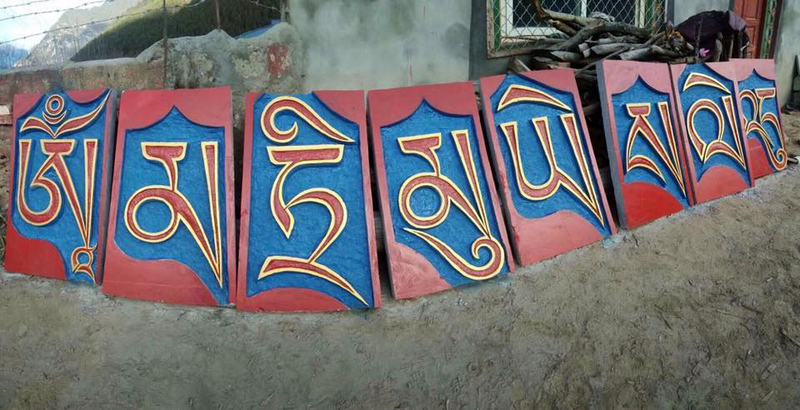 The MA TRI mantra is one of the three primary essence mantras of the Yungdrung Bön religious tradition. The syllable OM is the seed syllable of the buddha Lord Tönpa Shenrap Miwoché. The syllable MA is the seed syllable of the buddha Sherap Jamma. The remaining six syllables are the seed syllables of the Six Subduing Shen, the buddhas who liberate each of the six kinds of beings from the suffering and misery of cyclic existence. 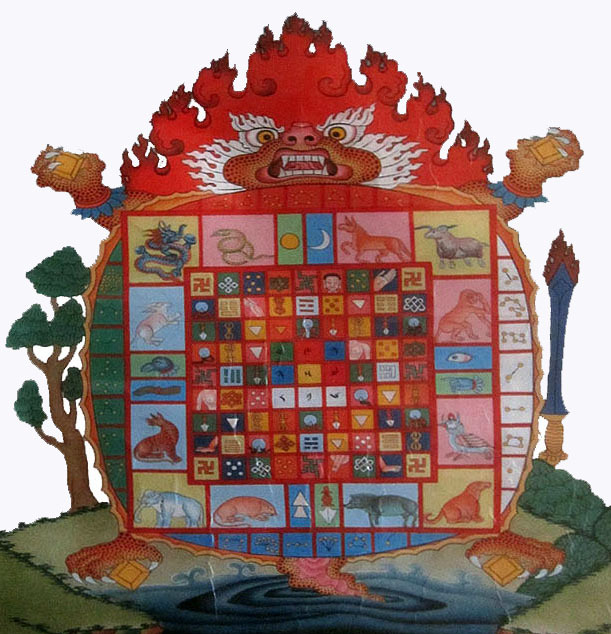 Lord Tönpa Shenrap and Sherap Jamma according to the practice of the MA TRI. “OM Upon cushions of a sun, moon and lotus and within a beautiful, jeweled palace is the victorious deity and his consort. * I present this offering of the essence mantra to them along with their retinue. *This refers to Buddha Tönpa Shenrap Miwoché and Buddha Sherap Jamma. HH 34th Menri Trizin Dawa Dargye Rinpoche and HE Menri Ponlop Yangton Thrinley Nyima Rinpoche during a ritual at Menri Monastery in Dolanji, Inida. Photo credit: Unknown. 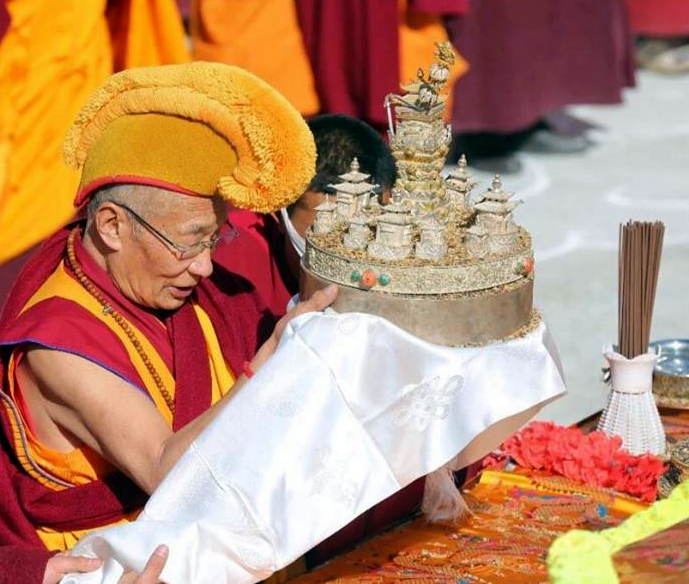 To the great, peerless lama possessing characteristics, I present unequaled external, internal and secret offerings. Externally, I offer the environment and the beings within it. I offer my own body and its vitality as an ornament. Furthermore, I present these offerings with non-attachment. Internally, I offer the arising of my mental and physical aggregates. I offer my accumulated realization that whatever arises as subject and object is illusory. Furthermore, I present these offerings within the vast space of self-liberation. Within the Yungdrung Bön religious tradition, flowers are one of the five daily offerings and an important offering during most rituals. Often tsampaka seeds are used to create an auspicious flower offering that never withers or fades in beauty. These seed pods grow on commonly found trees in the Himalayas and measure an average of 25 to 28 inches in length. 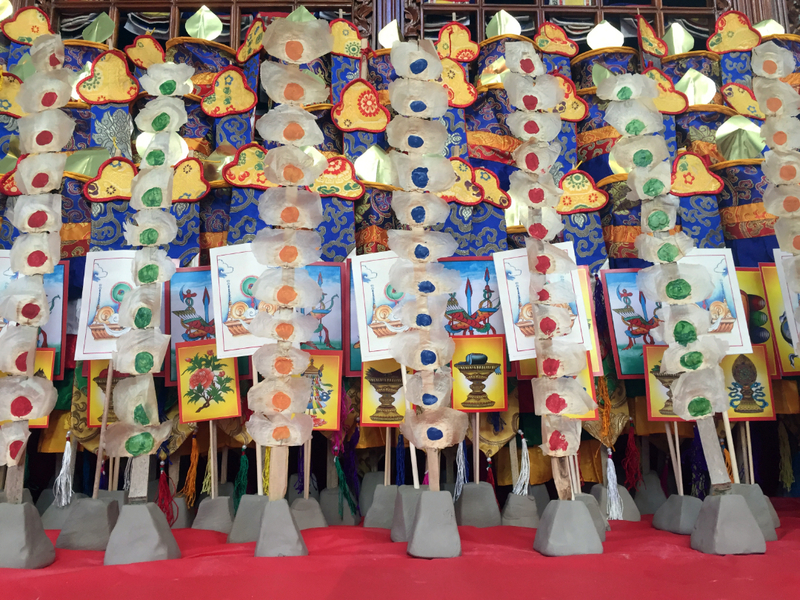 As a ritual flower offering, the winged seeds are glued one above another to a small piece of wood or bamboo. The center of the seeds are then painted or otherwise decorated with the five colors of the five elements. Tsampaka flower offerings for a Nampar Gyalwa Fire Ritual. Photo credit: Raven Cypress Wood. —From the book Indestructible: The Longevity Practice of Tséwang Rikdzin. Lama Tséwang Rikdzin was born a human being as one of the twin sons of Lama Drenpa Namkha. But having realized the ultimate result of his practice and thereby transcending cyclic existence, he purified all obscurations and perfected all positive qualities and became an enlightened being. 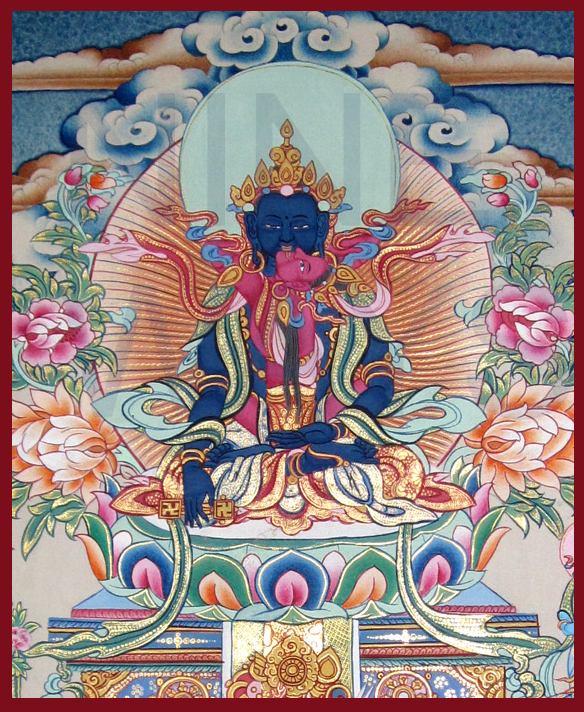 In this way, Lama Tséwang Rikdzin came to be practiced as a yidam deity. Although there are many longevity practices within the Yungdrung Bön religious tradition, the practice of Lama Tséwang Rikdzin has become the longevity practice most commonly performed. Tibetan translation: Raven Cypress Wood ©All Rights Reserved. No content, in part or in whole, is allowed to be used without direct permission from the author. The Supreme Shen Buddha Tönpa Shenrap Miwoché. 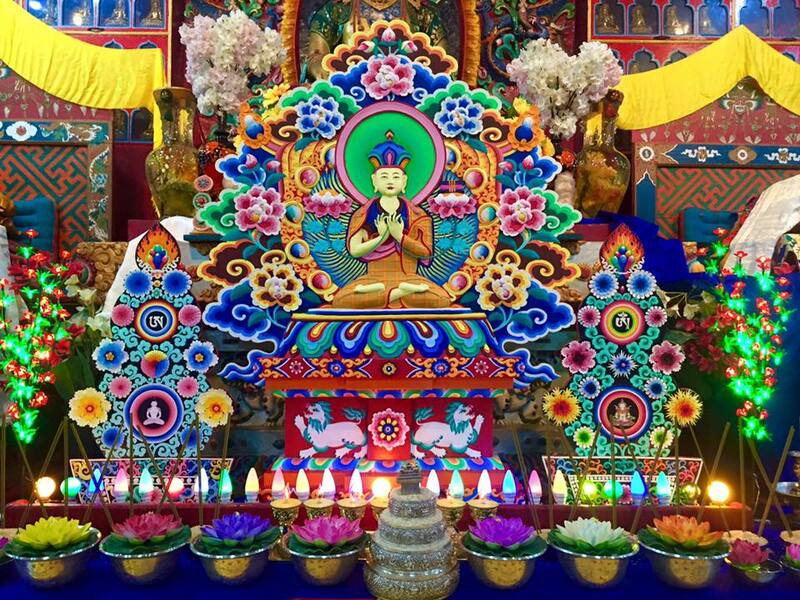 According to the Yungdrung Bön religious tradition, each month there are auspicious days which are determined by the teaching activities of the Supreme Shen Buddha Tönpa Shenrap. 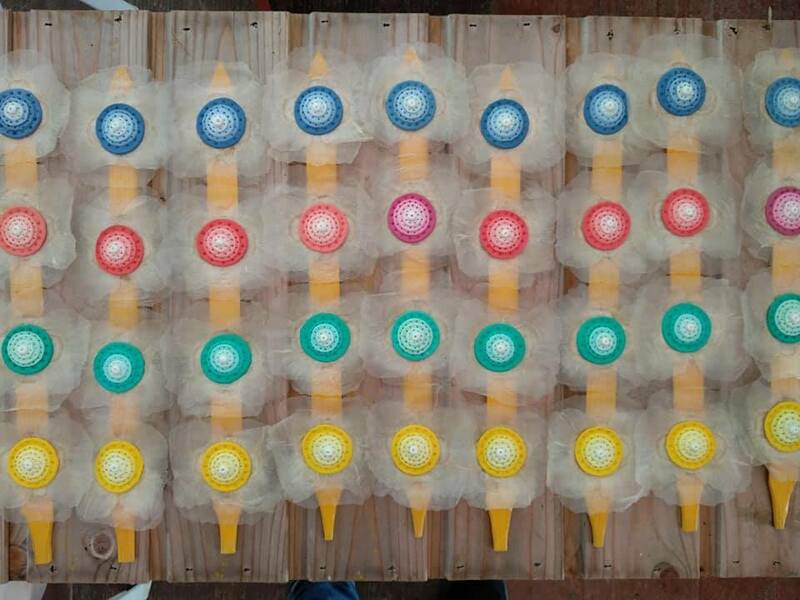 These are lunar dates according to the Tibetan lunar calendar. 30th Day of the Month, New Moon: On this day, Buddha Tönpa Shenrap taught the beings in the formless realm. This is a good day to purify wrong views. The power of any virtuous activity or meditation performed on this day is doubled. Also, because of its significance in the lunar cycle, it is one of the four monthly auspicious days to perform prayers and virtuous activities, and for those with genyen or monastic vows to avoid eating meat. 1st Day of the Month: On this day, Buddha Tönpa Shenrap taught the space gods in the highest and purest of places in the formless realm. This is a good day to purify greed and attachment and engage in acts of generosity. 8th Day of the Month: On this day, Buddha Tönpa Shenrap taught the clear-light gods. This is a good day to purify broken vows and to recite one of the three essence mantras of the Yungdrung Bön tradition. Also, because of its significance in the lunar cycle, it is one of the four monthly auspicious days to perform prayers and virtuous activities, and for those with genyen or monastic vows to avoid eating meat. 14th Day of the Month: On this day, Buddha Tönpa Shenrap taught the Gaden gods of the form realm. This is a good day to purify sexual misconduct and desire. 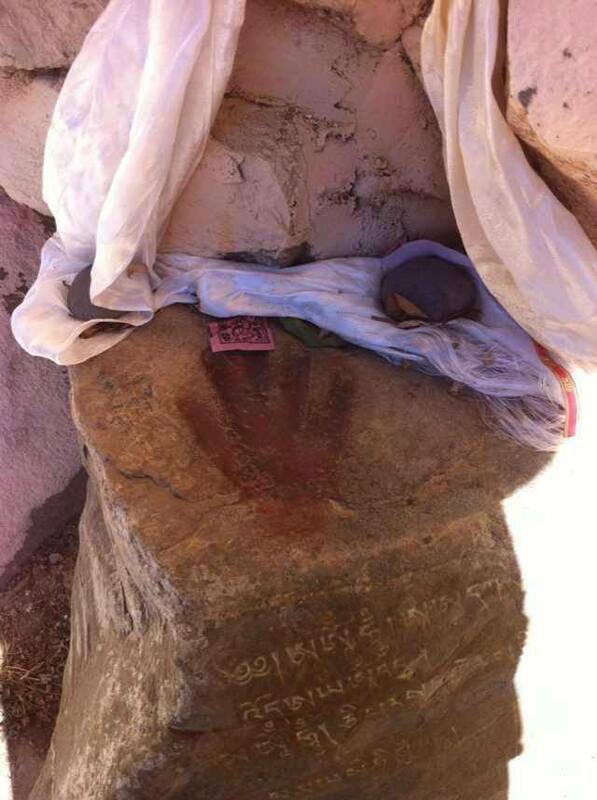 15th Day of the Month: On this day, Buddha Tönpa Shenrap taught the gods of the desire realm atop Mt. Meru. 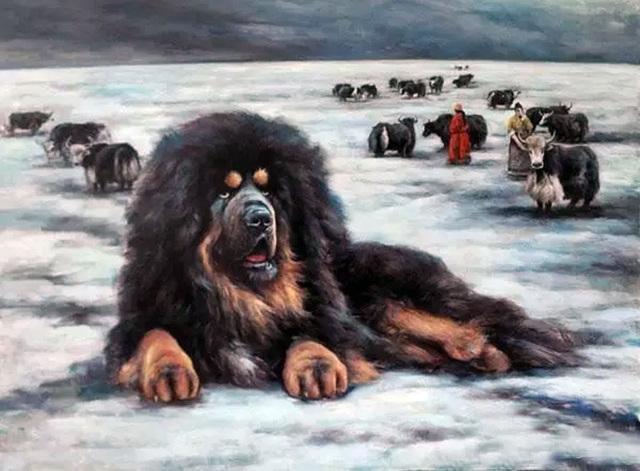 This is a good day to purify the killing of someone important such as a lama, a family member or another practitioner in either this or a previous life. Also, because of its significance in the lunar cycle, it is one of the four monthly auspicious days to perform prayers and virtuous activities, and for those with genyen or monastic vows to avoid eating meat. 16th Day of the Month: On this day, Buddha Tönpa Shenrap taught the four great gods of the desire realm and the four great kings. This is a good day to purify disagreements or misunderstandings with parents, a lama, or another practitioner from either this or a previous life. 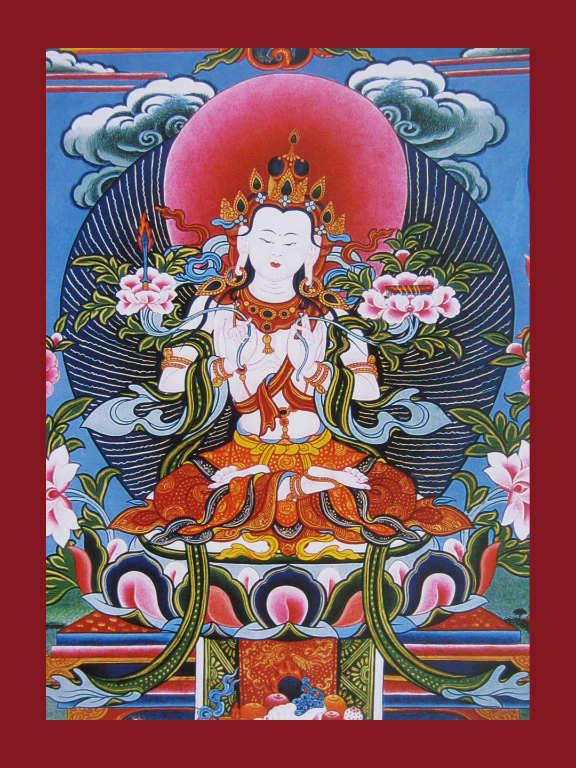 19th Day of the Month: On this day, Buddha Tönpa Shenrap taught the Tsang Ri gods of the form realm. This is a good day to purify any accidental killing. 22nd Day of the Month: On this day, Buddha Tönpa Shenrap taught the demi-gods of the desire realm who reside on the sides of Mt. Meru. This is a good day to purify the killing of a human being or lying to the lama. Also, because of its significance in the lunar cycle, it is one of the four monthly auspicious days to perform prayers and virtuous activities, and for those with genyen or monastic vows to avoid eating meat. 29th Day of the Month: On this day, Buddha Tönpa Shenrap taught the lu [Sanskrit: naga] of the desire realm. This is a good day to purify stealing during this or a previous life. 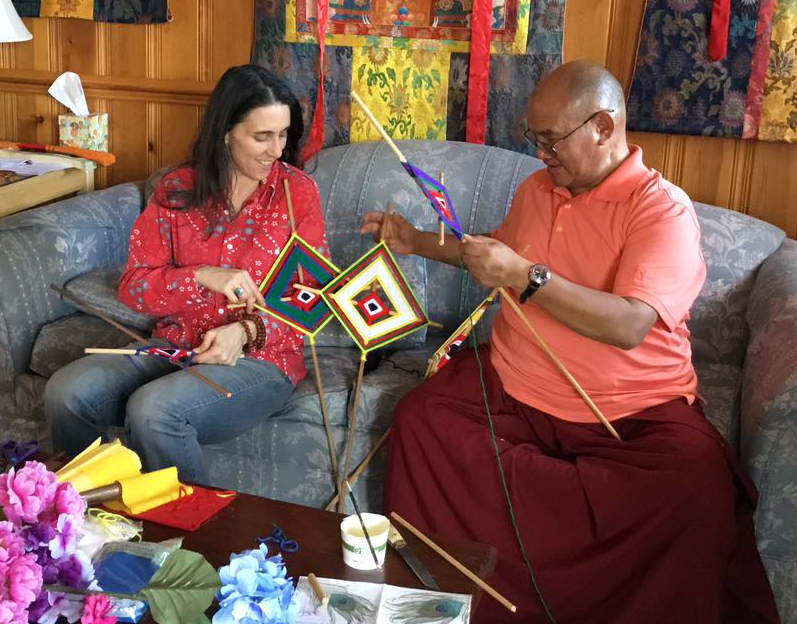 The practice of the admission of wrongdoing and purification is a powerful and effective method to purify non-virtuous activities of body, speech and mind and repair our sacred vows and commitments. The efficacy of the practice relies upon the so-called “four powers.” These are 1) the power of witness, 2) the power of openly admitting without reservation the actions of wrongdoing and non-virtue, 3) the power of heartfelt remorse, and 4) the power of vowing to not repeat the negative activities. For the power of witness, the practitioner goes before a sacred object of refuge such as a shrine, a real or visualized image of an enlightened being, or a chorten. Then, the practitioner connects with the actual presence of the enlightened beings in the sky before them. For the second power which is the admission of wrongdoing, the practitioner brings into their awareness all of the non-virtuous activities of body, speech and mind that have been committed in this life, as well as any unremembered activities from this or previous lives. This includes activities of direct or indirect involvement, as well as encouraging or celebrating the non-virtuous activities of others. For the third power, the practitioner generates an intense remorse for all of these actions. For the fourth power, the practitioner makes a firm commitment to not repeat these non-virtuous activities in the future and to instead engage in activities of virtue. In this way, the negative actions and their consequences are purified. At the conclusion of the practice, the practitioner imagines and feels the blessings of the enlightened beings completely purifying them in the form of pure, wisdom light. All translations from the Tibetan by Raven Cypress Wood ©All Rights Reserved. No content, in part or in whole, is allowed to be used without direct permission from the author. 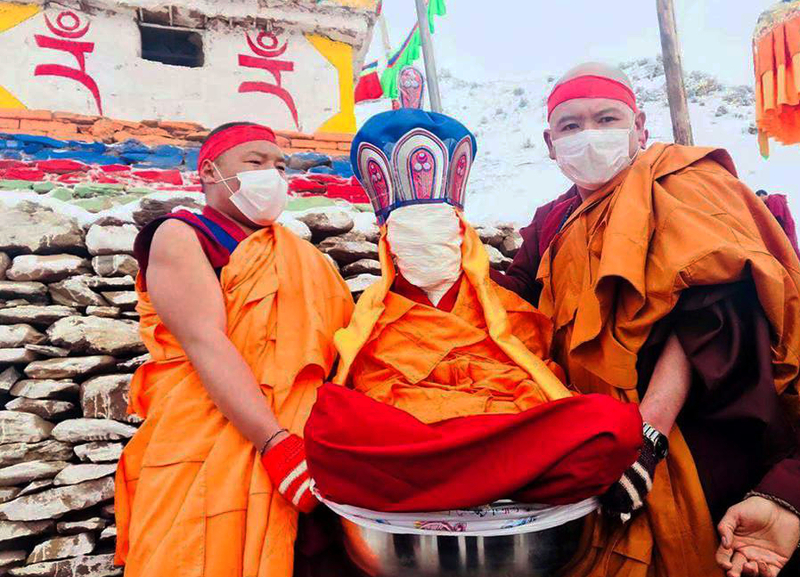 On the second day of the first lunar month, Western date February 6, 2019, the abbot of Pongen Yungdrung Dargye Ling Monastery in Kham, Tibet, Khyungkar Tisé Gyalwa Rinpoche entered into the state of tukdam. In general, tukdam refers to a state of meditative stability attained by meditation masters that continues after the external breath of their body has ceased but the internal breath, or winds, remain. Therefore, the subtle channels through which these winds move remain stable. The area of the body containing the heart chakra remains warm to the touch. The skin remains soft, and the face retains a glow of vitality. During this time, great care is taken to not disturb the body or interrupt the state of mediation. After an indeterminate number of days, the internal winds cease, the channels collapse, the physical body slumps, and the warmth dissipates from the heart center. At that time, chants related to the cleansing of the sacred body are recited while the physical remains are ritually bathed with water mixed with special herbs. Sacred seed syllables are then written on the body and the body is wrapped in a pure white cloth. Cremation stupa. Photo credit: Unknown. 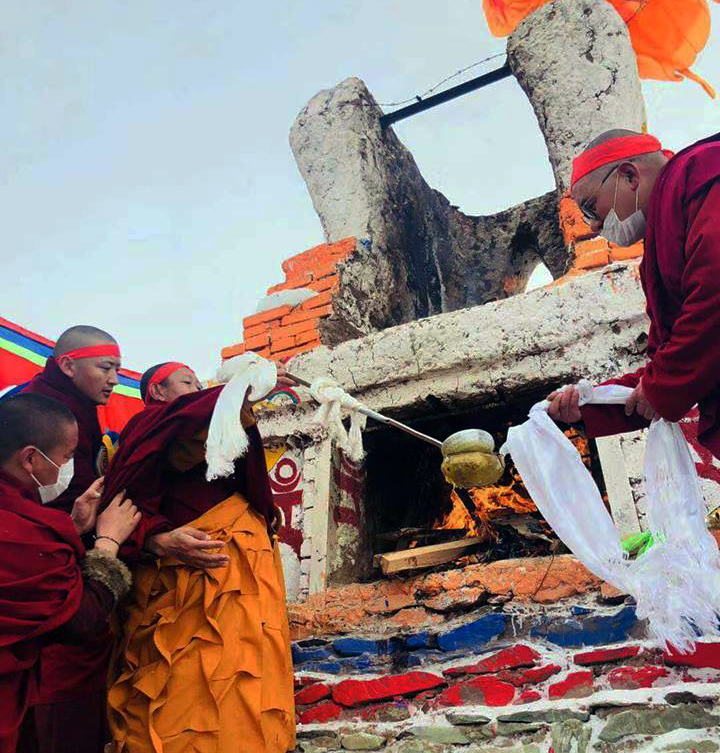 On the 23rd day of the 1st lunar month, Western date February 27th, the physical remains of Tisé Gyalwa Rinpoche were ritually cremated during an elaborate fire ceremony. His skull and heart remained intact and have been kept as sacred relics. 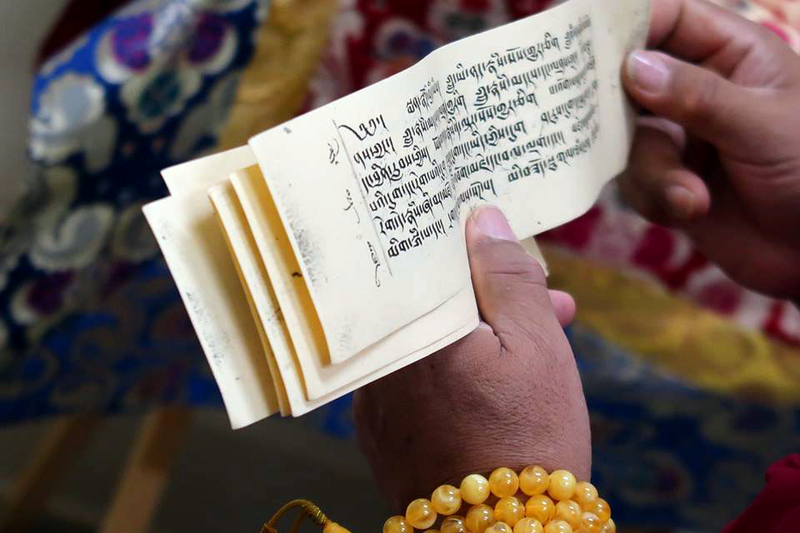 Sacred relics of the Pongen Throneholder Khyungkar Tise Gyalwa Rinpoche. Photo credit: Unknown. White emanation of Mawé Senge, Lion of Exposition. 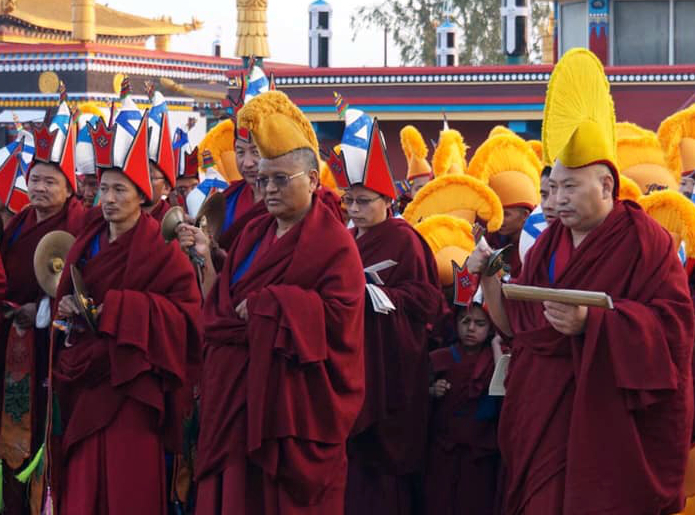 After the Tibetan New Year celebrations, students at Menri Monastery in India enter into an intensive retreat to cultivate the qualities of the wisdom deity Mawé Senge, Lion of Exposition. This retreat begins on the 24th lunar day of the 1st month and concludes on the 30th lunar day. In 2019, these dates coincide with February 28th through March 6th on the Western calendar. The intention of this retreat is to develop and sharpen the student’s intellect related to their upcoming studies. The practice of Mawé Senge is performed many times each day and the mantra of the deity is recited as much as possible throughout the retreat, but at least a minimum of 100,000 recitations are completed. “I go for refuge to the wisdom deity for the intellect. I generate the supreme mind for the benefit of vigorous training in the highest wisdom. Deities of the Mother Tantra. Painted by Lama Kalsang Nyima. Photo credit: Raven Cypress Wood. 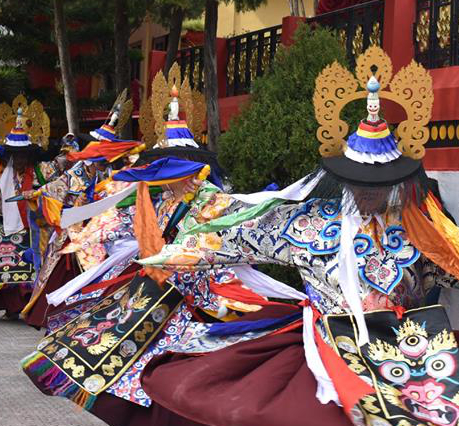 On the 21st and 22nd lunar days of the 1st month, Menri Monastery in Dolanji, India will perform a feast offering to the deities of the Mother Tantra. These dates are February 25th and 26th, 2019 on the Western calendar. For those who have vows with a yidam deity, performing a feast offering is an opportunity to repair any broken vows and to request the blessings and power of the deity. 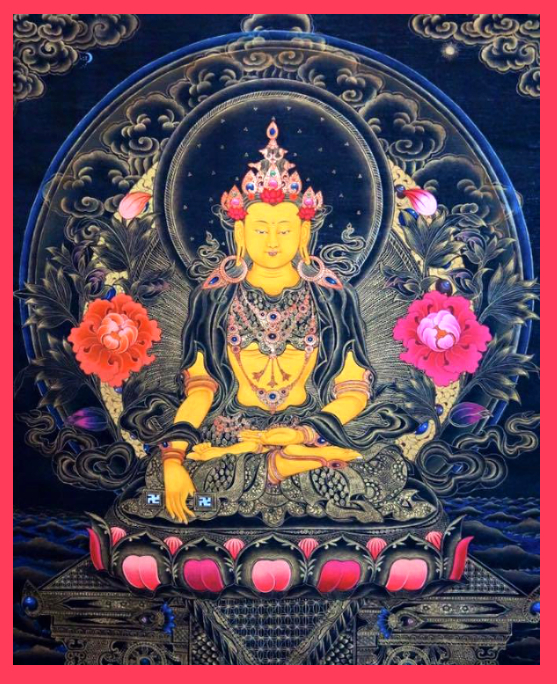 The source of the Mother Tantra within the Yungdrung Bön religious tradition is the primordial Buddha Küntu Zangpo. It has three cycles: external, internal and secret. Each cycle has a root text and a commentary that was written by the sage Milu Samlek. 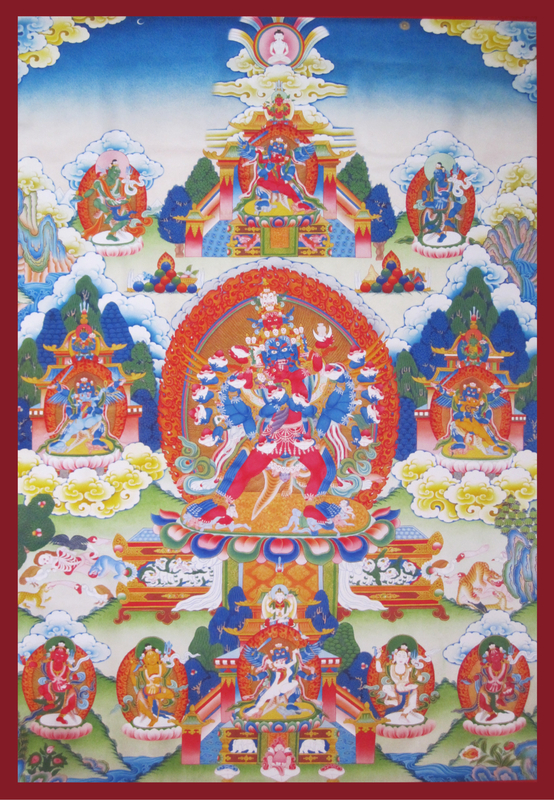 The main yidam of the Mother tantra is Sangchok Thartuk and his consort Khandro Chema Ötso. Homage to Lord Tönpa Shenrap Miwoché! The 15th day of the 1st lunar month has traditionally been the day for Bönpos to celebrate the human birth of Lord Tönpa Shenrap Miwoché, founder of the Yungdrung Bön religious tradition. In 2019, this date coincides with February 19th on the Western calendar. The 5th day of the 1st month of the Tibetan lunar calendar is the celebration of the birth and cremation of Lama Nyammé Sherap Gyaltsen. In 2019, this date in the Western calendar is February 9th. 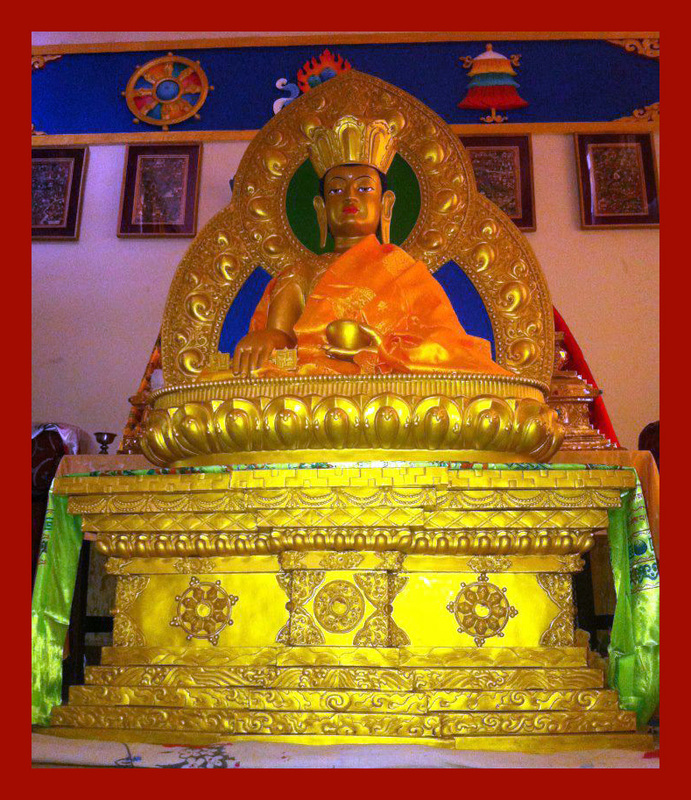 Within the Yungdrung Bön tradition, Lama Nyammé Sherap Gyaltsen is often referred to as the Second Buddha. He was a reincarnation of Yikyi Khye’u Chung, one of Buddha Tönpa Shenrap Miwoche’s sons. Lama Nyammé Sherap Gyaltsen was responsible for uniting the three transmissions of sutra, tantra and dzogchen as well as founding one of the largest Yungdrung Bön monasteries in Tibet, Tashi Menri Ling. Born in 1356 in the region of Gyalrong into the Dru lineage, as a child, he could recite mantra and read scripture without having studied. At the age of ten, he decided to become a monk. In 1387 at the age of 31, he entered the prestigious Yeru Wensaka monastery and eventually became its abbot. 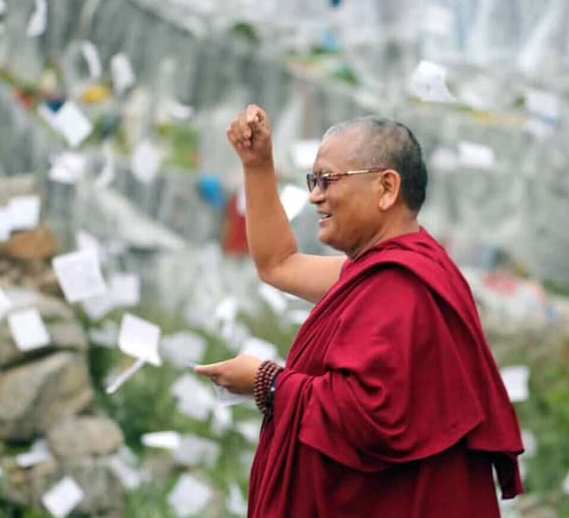 During a journey to Eastern Tibet, Yeru Wensaka was destroyed by flooding and mudslides. After returning, he searched the ruins of the monastery for artifacts. He took these and established Tashi Menri Monastery further up the same valley. It was now 1405 and he was 50 years old. Lama Nyammé Sherap Gyaltsen was known throughout Tibet as a great scholar and prolific writer on the many varied subjects within the Bön scriptures. He also exhibited many miracles and signs of his spiritual realization. Twice, he flew up into the sky. During one of these flights, he burned his hat with the rays of the sun. In 1415 at the age of 60, he passed away. His body levitated high into the air, but due to the many heartfelt prayers of his disciples, the body came back down. During the cremation, rainbows appeared and an eagle circled three times around the cremation area before disappearing into the West. 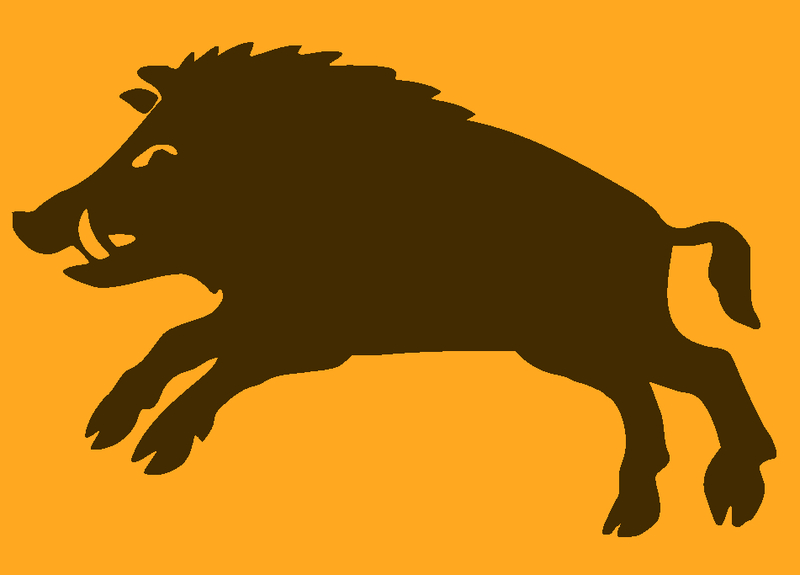 Today, Bönpos will spend the day with their eyes looking skyward. If you are lucky enough to be visited by a vulture on this day, it is said to be an auspicious sign of having received the blessings of the lama known as the Second Buddha, the Unequaled One, Nyammé Sherap Gyaltsen. Losar Tashi Delek Pün Sum Tsok! Happy Tibetan New Year! 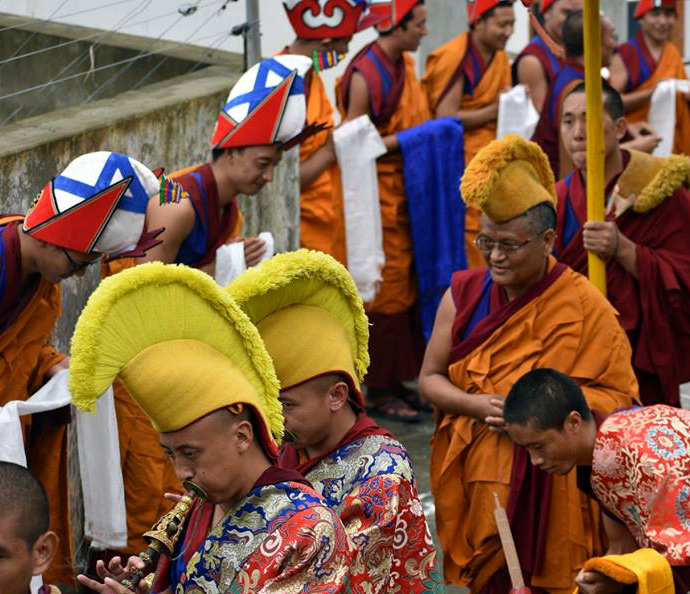 The Tibetan New Year, called Losar, is February 5, 2019. This is the 1st day of the 1st month of the Tibetan lunar calendar. The final month of the lunar calendar is considered a time for purification and cleansing, especially the 26th -29th. The 29th day of the 12th month is called nyishu gu. In 2019, that date on the Western calendar is February 3rd. On this day, the family gathers together for a special dinner and purification ritual. A special soup of nine ingredients called gutük is made. One of the most important ingredients in the soup is large balls of dough that contain symbolic objects or descriptive characteristics written on paper. Each member of the family must receive one of these balls of dough, and whatever is inside is considered a playful commentary on their character. For example, whoever receives the ball of dough containing a piece of coal is said to have a “black heart.” Some of the other possible items that someone might receive are: a piece of wool meaning “kind-hearted,” a sun meaning ‘”light of goodness,” a chili meaning “sharp-tongued,” or salt meaning “lazy.” Everyone saves a small amount of the last of their soup to be used as a ransom offering to the negative spirits of the past year. This ritual payment settles any remaining debts with the negative spirits so that they become satisfied and go away happy. Along with the leftover soup, each person also offers a karmic debt torma. This is a small ball of dough that has been passed over the body in order to absorb any illness and negativity, then pressed with the fingers of the hand and placed on the offering plate with the other ransom offerings. A small candle is placed on the plate and lit before it is carried out by one of the family members. Once the ransom offering has been left in an appropriate place, this person must not look back while returning home. 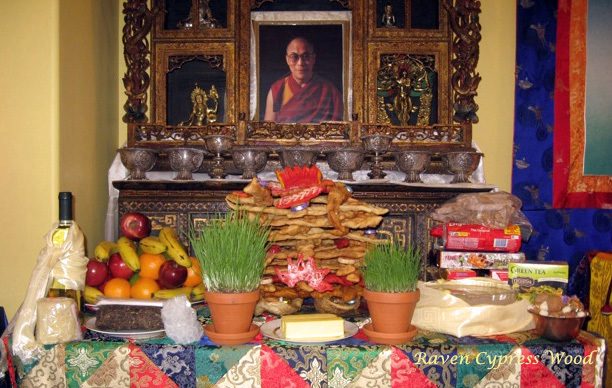 On the 1st day of the new year, everyone stays at home or goes to the monastery in order to make offerings and prayers. On the 2nd and 3rd days of the new year, it is customary to spend the day visiting friends and extended family in order to raise the positive energy for the coming year. Lord Tonpa Shenrap Miwoche. Photo credit: Khedup Gyatso. The 15th day of the 12th lunar month, January 21, 2019 on the Western calendar is the 18,036th birth anniversary of the founder of the Yungdrung Bön tradition, the Enlightened Lord Tönpa Shenrap Miwo Künlé Nampar Gyalwa. Already an enlightened being, Lord Tönpa Shenrap Miwoche chose to be born into this world in order to guide beings from suffering to liberation. He was born into the royal Mu lineage in the kingdom of Tazig Olmo Lungring. Traditionally, the anniversary of his birth has been celebrated on the 15th day of the 1st month of the lunar calendar. 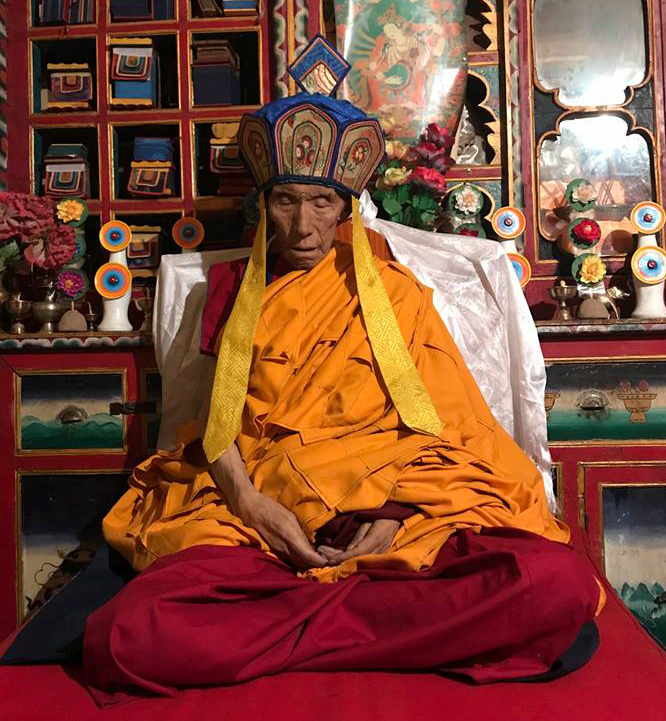 However, based upon research by the renowned Yungdrung Bön scholar and supreme lama, His Eminence Yongdzin Tenzin Namdak Rinpoche, the actual date is believed to be the Full Moon day of the last month in the Tibetan lunar calendar. 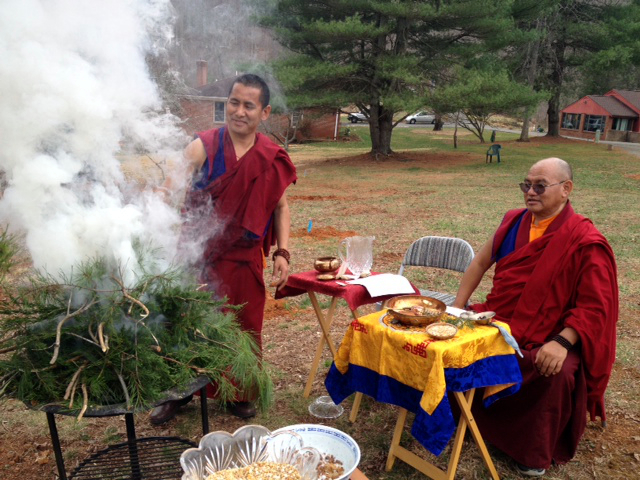 This is a powerful and auspicious day for performing virtue or spiritual practice. The benefits of these activities are greatly multiplied. “King of Teachers, and the glorious guide through cyclic existence, you are the illuminating light that overcomes all darkness. A primary medicine that removes the torment of the illness of ignorance, you are the king of the Mu clan, an extraordinary being who took human form. With an army of immense fire that dries up the ocean and mire of the five poisons, you are a luminous holy man who possesses the special marks and characteristics. Having undertaken a multitude of hardships, you completed a multitude of activities. Through both the four valid means of cognition and the six valid thoughts, and with great loving kindness, you liberate the migrating beings within cyclic existence. 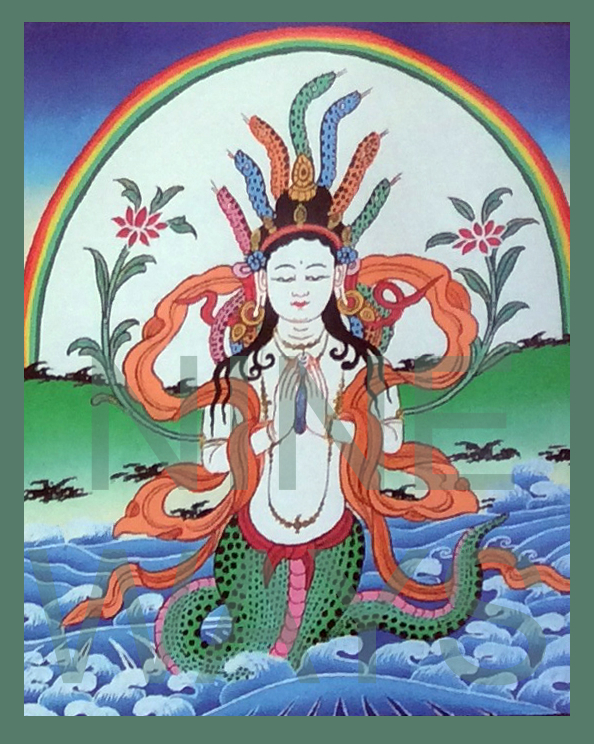 According to the ancient teachings of Lord Tönpa Shenrap Miwoché, the phenomenal universe can be divided in to three worlds: the world of the gods above, the world of the lu [Sanskrit: naga] below, and the world of humans in-between. Interactions between the lu and human beings are especially common due to the fact that we share the same environment. Although the lu are most often associated with bodies of water such as lakes, springs, wells, and waterfalls; they also inhabit cliffs, rocks, trees, and abandoned places such as castles and fortresses. The different kinds of lu can be categorized in many ways. They can be divided into their five main societal classes: the white royal class, the yellow merchant class, the red priest class, the green servant class, and the mixed-color outcast class. They can be categorized according to their overall demeanor of being either generally peaceful or generally aggressive. Or, among the four kinds of guests* they can be categorized as members of the second, third, or fourth guests. As members of the powerful second guests of exalted qualities, there are eight great lu who act as benevolent protectors. As members of the third guests, some lu are among the magically powerful eight classes of beings who can be helpful when happy, but who can also become aggressive and destructive when they feel that they have been slighted. Lastly, as members of the fourth guests who are in need of our charity, some lu take the form of animals such as snakes or various aquatic creatures. They are often depicted as having a lower body similar to a snake, and an upper body similar to a human. 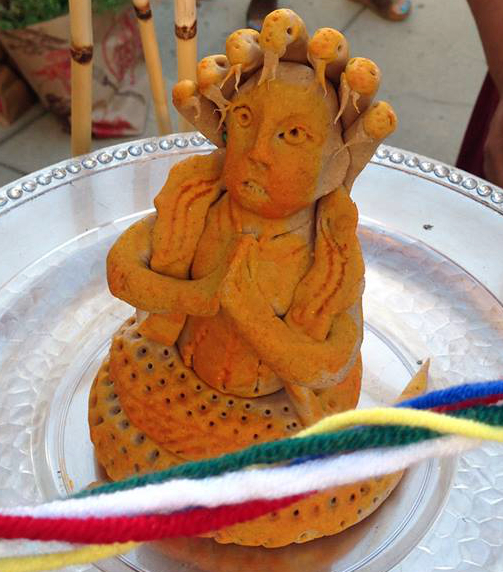 A ritual lu effigy created with tsampa by Murig Geshe Nyima Kunchap Rinpoche. Any human activity that creates unpleasant smells, pollution, or destruction of the environment can cause the lu to become upset, or to be afflicted with illness and misfortune. When this occurs, the lu sometimes take action to stop the destruction. Some lu even engage in acts of revenge such as causing illness, epidemics, loss of property, or natural disasters to humans. Specific illnesses are associated with the lu such as boils, abscesses, skin diseases, leprosy, and infertility to name a few. For this reason, the enlightened Lord Tönpa Shenrap taught ritual methods to communicate with the lu, purify what we have polluted, restore harmony and make amends, as well as methods to subdue the aggressive-natured lu who are not satisfied with peaceful methods. Even for peaceful lu, it is important to communicate with them and present peacemaking gifts in the correct way. For example, according to the Yungdrung Bön religious calendar, there are specific days during each lunar month in which the lu are either more receptive to our requests, or not receptive at all. 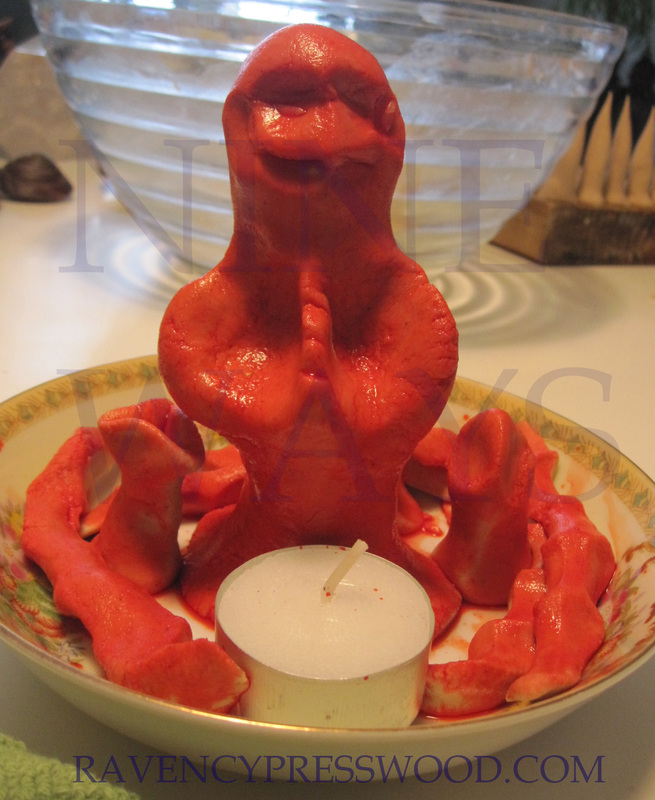 Essential to the ritual offerings for the lu is lu men, or lu medicine. Lu medicine contains: the three white things: milk, unsalted butter, and unsalted cheese; the three sweet things: rock sugar, honey, and brown sugar or molasses; the five grains: rice, wheat, barley, millet, and peas; the five precious things: gold, silver, turquoise, coral, and pearl or conch shell; peacock feathers, Choerospoldia axillaris, kidney-shaped Canavalia gladiate, liver-colored and liver-shaped Entada phaseoloides, sea foam, Bombax ceiba flower buds and flowers, crocodile claw-shaped herbal medicine, right-turning (Bön direction) conch shell, amber, hand-shaped Gymademnia, Terminalia Checula, Terminalia belerica Roxb, Emblica Officinalis, and Meconops. 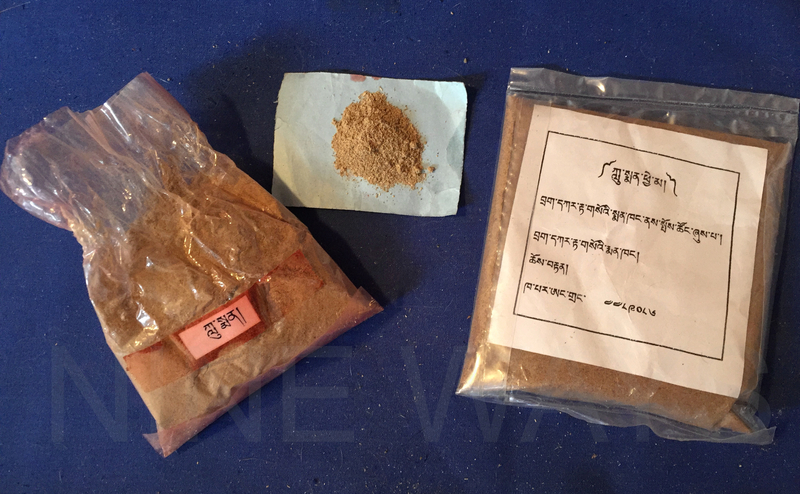 All of these substances are dried and ground into a fine powder and then mixed. “Through the positive qualities of purifying all of you lu, for both myself and others, may human illness and contagious diseases be stopped! Act to protect our longevity and our life-force! Act to guard our families and turn back misfortune! Act to increase our influence and good fortune! Act to bring an abundance of personal power! Act to connect me with my wealth and resources! Act as a protector and guardian to me! *The First Guests are the respected guests who are the enlightened beings. The Second Guests are the guests of exalted qualities who are the enlightened and unenlightened benevolent guardians and protectors. The Third Guests are the eight classes of beings. The Fourth Guests are the guests of charity who are beings within the six realms of cyclic existence minus the gods and the demi-gods. May Everyone have a Mandala of Good Fortune! 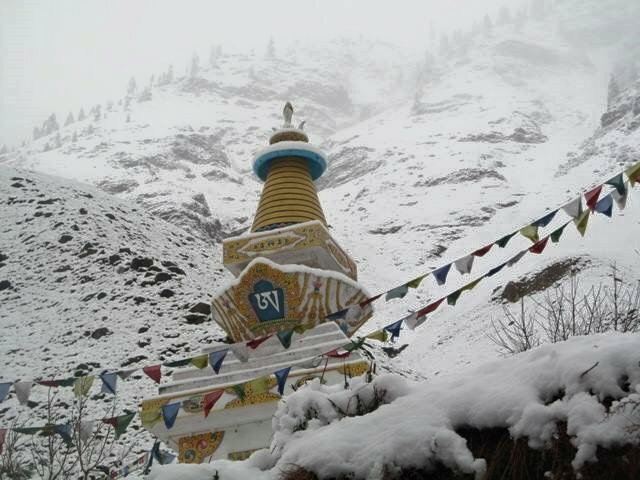 Yungdrung Bon chorten in Dolpo, Nepal established by Geshe Nyima Kunchap Rinpoche.